It all began with trying to create a material that could generate ultrasonic waves at high temperatures to monitor assets, such as pipelines, in the industrial space. IITian Tarun Kumar Mishra, working with professor Krishnan Balasubramanian at IIT-Madras, cracked it. “Professor Krishnan told me the industry had no continuous monitoring technology. So, I looked into the field,” says Mishra, who graduated from IIT in 2013. Fellow IITian Daniel Raj David, 24, then a second-year student, met Mishra through professor Balasubramanian in early 2014. 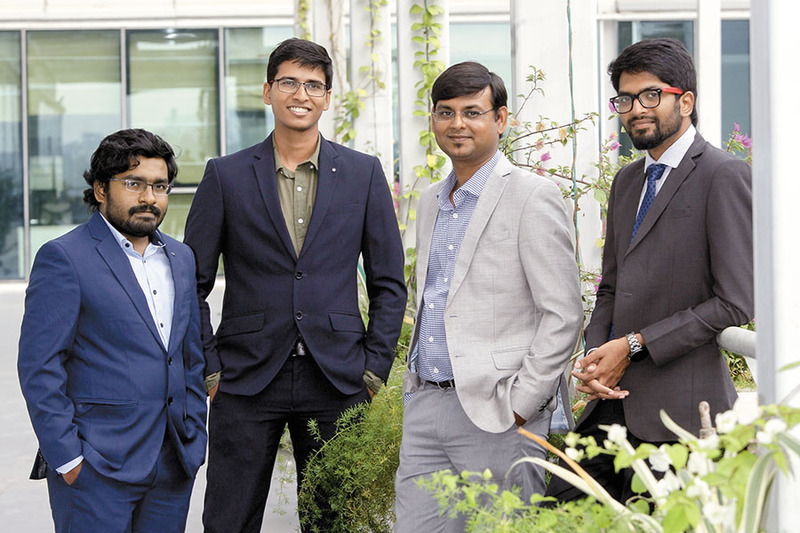 His batchmate Harikrishnan AS, 24, a mechanical engineer, and Karthik R, 26, got on board, and they incorporated DeTect Technologies in February 2016. They have two products; GUMPS, an intelligent sensor for pipeline monitoring to prevent potentially hazardous leaks, and Noctua, a drone for internal and external asset inspection and monitoring. Professor Balasubramanian is a mentor and advisor. After an initial investment of ₹10 lakh, and support from Reliance Industries and Shell, DeTect has raised two rounds of funding, the latest being a $3.3 million series A led by SAIF Partners. “We partnered with DeTect because of the skill and vision of the young founding team, their understanding of the market and their state-of-the-art products,” says Mridul Arora, MD, SAIF Partners.